I’ve been driven to distraction over the last two weeks. As I sit quietly in my office area, minding my own business, typing and trying to concentrate on what I’m writing trying ever so hard to ignore the distractions around me, two new friends have been clamouring for my attention. They’re flies and they’re threatening my sanity. I’ve started to twitch and shake and shout and scream, anything to get rid of them. Nothing works. I’ve resorted to an extreme solution. I’ve spent some money. I bought the best rated fly killer I could find on Amazon… and I’ve completely wasted my hard earned cash. My super effective fly destroyer arrived a few days ago. 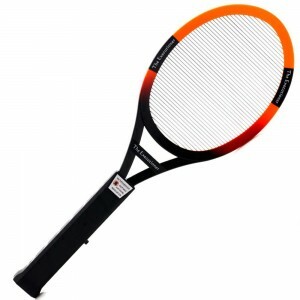 The ExecutionerTM Fly Swat Wasp Bug Mosquito Swatter Zapper (they’ve certainly covered all the bases with that catchy little name), is like a badminton racket with electrified strings. Its operation is simple. You swat offending bugs with it and electrocute them. It’s child’s play. Nothing could be easier… unless you live on a narrowboat. I’ve written extensively about the lack of space on a narrowboat so why I didn’t consider the practicality of a device such as this is beyond me. I’ll put it down to advancing old age or the fact that I’ve been very tired recently. I’ve tried it out. Of course, the first thing I did, being male and not terribly bright, was to make sure that the centre of the fly swat really was electrified. I can now assure all and sundry that it is, and I can also assure anyone who is the slightest bit interested that the third degree burn on the end of my finger is getting better, that the damage done to the window frame when the shock hurled me against the side of the boat is repairable and that Sally didn’t actually die laughing despite indications to the contrary. Sadly, I am the fly swat’s only victim so far. There’s just no room to use it on the boat. I can’t swing my empty arms around let alone with a three foot electrified bat clutched in my hand. Anyway, even if there was room to use it, the flies have now mysteriously disappeared. Maybe they were watching when I tried it out on myself. Maybe just the sight of the OTT fly swatter has scared them off. I suspect that the zapper will eventually find its way into a drawer and never see the light of day again. Either that or Sally will include it in one of her regular giant parcels back to her not so well off relatives in the Philippines. I don’t think they’ll use it either but at least it will keep them entertained for hours talking about the stupid man their Aunty Sally is now living with in far away England. 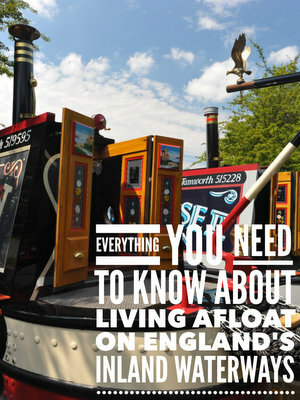 This site is all about living on a narrowboat. I’ve written hundreds of thousands of words on the subject and, I’m frequently told, my unbridled enthusiasm for the lifestyle is evident in everything I write. It’s true. I love the lifestyle and genuinely can’t see myself moving back in to a bricks and mortar home. However life on the water, even though I write about it so enthusiastically, isn’t all a bed of roses and certainly isn’t for everyone. Last year, we had a liveaboard boat in for repair. It was in the spring when the nights were cold and the days were slow to warm up. It was a time of the year when effective heating on board was essential. The couple on the boat were freezing. Their Hurricane diesel central heating wasn’t working and it was the only source of heat they had on the boat (BIG mistake – If you don’t have a solid fuel stove on board in addition to a central heating system, you’re asking for trouble). The couple weren’t with us for very long. The solution to their problem was quick and simple. The boat had a cruiser stern. The Hurricane heater was under the deck boards in the engine bay. So were many other items the couple couldn’t find room for in the boat. A hose reel they had dropped in to the engine bay next to the Hurricane had caught a switch and turned the heater off. All the engineers had to do was turn it back on again. She went on to tell me, all in one breath and at an ever increasing volume, just how unpleasant her life on board really was. She moaned about the lack of space, the cold, the heat, rain, muddy footpaths, inconsiderate boaters, dog poo on towpaths, bikes on towpaths, the problems she has getting to the shops, the bigger problem she has getting back from the shops with a full load of groceries, the disadvantages of having to use a launderette, the bad back her husband suffers after trying to carry coal and gas onto the boat, the frustration she feels when she (often) runs out of water in the middle of nowhere. Her list of complaints was endless. This was a lady who had clearly made a mistake moving on to the water in the first place. The lifestyle didn’t appear to suit her at all. Maybe, as is sometimes the case, her husband was the narrowboat enthusiast and she had reluctantly agreed to his plans. I don’t know how much research either she or her husband did before the two of them decided to burn their bridges and sell their home. I suspect it was very little. It certainly wasn’t enough. Living on a narrowboat is very different from the convenience you enjoy living in a static home. You have to work quite hard for the pleasure of living close to nature. As far as I’m concerned the hard work is a small price to pay for the pleasure I get from my life on board. I’ve just given my eyes a break from staring at my laptop screen and glanced out of the window. The reeds are nodding in the early morning breeze. A pair of mallards have just drifted past the boat and now there’s a crested grebe with its spear shaped head searching for a fishy breakfast. One, two, three dives under the water without success and then the fourth time it appears with a small roach flapping frantically in its beak. It’s a wonderful sight and one which never bores me. I’ve always loved the great outdoors so there was a pretty good chance that this lifestyle was going to suit me. It does, and I’m very happy here on James. In an ideal world Sally and I would cruise full time but, for at least the next couple of years, both of us need to work. A marina mooring doesn’t suit everyone but as far as marina moorings go, my mooring is pretty much unbeatable. The six acre marina is spacious and beautifully landscaped. There are few marina moorings as pretty as this and very few indeed where you can live on your boat. Finding a boat to live on is the easy part. Finding somewhere suitable to live is far more difficult. The unhappy lady with the Hurricane heater had a residential mooring about ten miles from Calcutt. I think if I was forced to moor she was, I would have been unhappy with living on a boat too. Her boat was on a pier hemmed in by other boats. Her only view from inside was the sides of other narrowboats. They were packed into the marina like sardines. There was no feeling of space and no sense of privacy. Such a mooring would suit some people but it would be my idea of hell. There are three articles on the site which I think you’ll find very useful if you’re considering the lifestyle. The first is a post I wrote three years ago about the downside of living on a narrowboat. The next is a guest article from liveaboard narrowboat owner Pauline Roberts. Her post “It’s Not All Roses And Castles” was controversial to say the least. She finished off the article by saying that she enjoyed her life on board but, having just read her article again, I think she must have been talking about a masochistic kind of pleasure. She certainly doesn’t appear to love her life afloat. The third post is the result of a survey I asked boat owning site subscribers to complete. I created the survey to find out how many boaters felt the same about issues Pauline raised in her post. If you’ve read Pauline’s article and now think that life on a narrowboat is some kind of living hell, the survey will reassure you that all is not doom and gloom in narrowboat world. Here’s the survey. Richard Varnes and wife Valerie have sold their home in Colarado to fund a very different floating home on the inland waterways of England and Wales. Professional photographer Valerie takes photo’s to add to Richard’s written account of their travels. Richard has kindly supplied a few of his articles for me to use on the site. You’ll find links to them at the bottom of his case study. There are just two there at the moment, but there are plenty more to come.